Docent Tours can be booked Tuesdays through Fridays (no holidays) between the hours of 9:30 AM to 2:30 PM. Weekend tours are very limited due to the number of events being held at the Center. All programs have a minimum/maximum attendance requirement. See below for details. Our tours are led by trained volunteers. 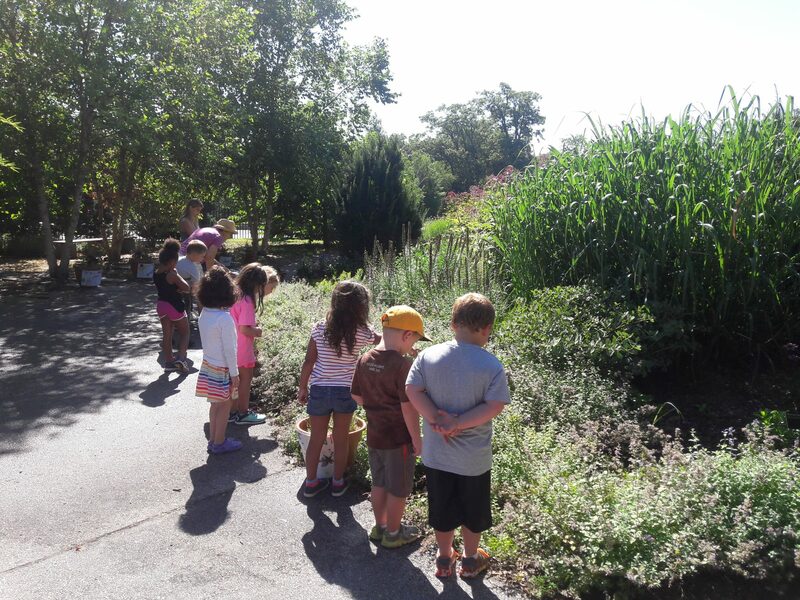 Each tour is tailored according to age and group interest in regards to the Botanical Center’s unique environments. 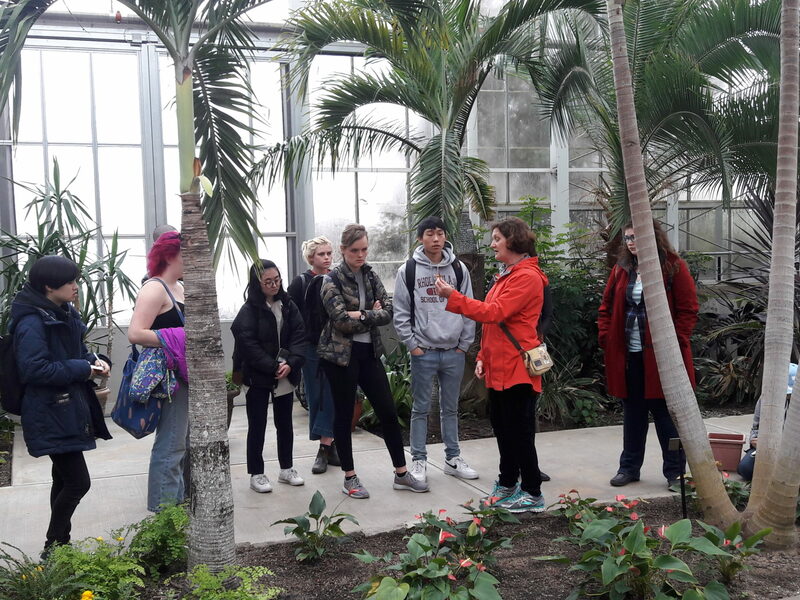 Tours provide cultural and environmental information about the plants, their uses, and importance in the lives of humans, their unusual and highly varied physical characteristics, as well as information on how they have adapted to the climates in which they naturally exist.
. Smaller tours of 10 people must be booked at least 2 weeks in advance. 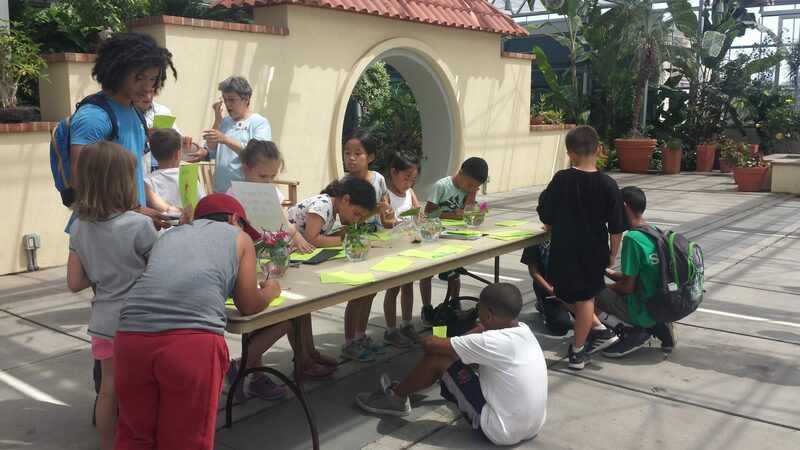 This tour is designed for elementary school aged children and follows the Next Generation Science Standards and STEAM Curriculum for teaching botany through hands-on activities such as dissecting a flower, touching smelling and tasting plants, and playing an observation game. On average, tours last 1.5 hours. Children’s tour groups and school groups are limited to a minimum of 10 and a maximum of 60 participants, exclusive of chaperones. Chaperone guidelines: The Botanical Center requires that your group bring 1 chaperone for every 10 students. $5 per chaperone. Teachers are free. Additional $1.00 per individual to have lunch on premises. Activity will vary based on age group, curriculum and teacher preference. Please contact us to discuss the activity options. *Ask about special rates for Providence Public Schools. Providence Public School rates do not apply to charter schools or private schools that are located in Providence. Adult guided tour groups are limited to a minimum of 10 and a maximum of 50 participants. Boxed lunch options are available through JP Spoonem’s and require full payment in advance. Additional $1.00 per individual to have lunch on premises. Lunch NOT Provided. Boxed lunch options are available and require full payment in advance. Rescheduling/Cancellation policy: If your program is canceled due to inclement weather or for any other reason, it will be rescheduled. If you need to reschedule or change any details of your visit for any reason, please contact us as soon as possible so that we may accommodate you. If your group cancels before 7 days prior to your scheduled visit, 5% of the program fee must be paid. If your group cancels within 7 days prior to your scheduled visit, 50% of program fee must be paid. If your group does not arrive on the day of your scheduled visit, 100% of the program fee must be paid.